We all know about WordPress. It is just another alternative for blogger but it has one thing which blogger blogs lack. They are Plugins. WordPress has a wide range on plugin which you can use in your blog. There are different types of SEO Plugins available for WordPress such as - Yoast SEO, All in One SEO etc. Blogger does not supports these plugins and you have to do all the SEO work manually. You may hire someone but this could be costly. 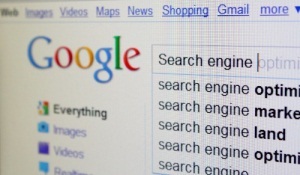 So below are few tips on how you can make your Blogger blog more visible to search engines. After adding the above code edit it with your desired settings. Optimizing blog images are really important for SEO and for that one should add Alt and Title tag to every image of its blog. The following can be done by Clicking the image in post editor, click on properties and adding the needed text. 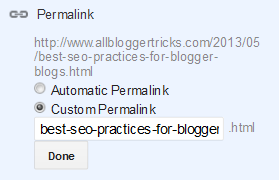 You can also customize the permalink that is URL of your blog post. For customizing the permalink of the post you have to click on Permalink tab under Post Settings and do the desired changes. Tip : Remove slugs like in, on, to, for etc. You must be inquisitive to know why don't I do these changes well you will get the answer in the last line of this post. So that search engines can crawl your blog, it is very important to add your blog on different search engines. Below is a list of some popular search engines where you can submit your blogs URL. AlltheWeb www.alltheweb.com Submit at www.alltheweb.com/help/webmaster/submit-site. AltaVista www.altavista.com Submit at www.altavista.com/addurl/. AOL Search search.aol.com Submit via Google (www.google.com/addurl/). Ask.com www.ask.com Does not accept site submissions. Best of the Web www.botw.org Paid submittal at www.botw.org/helpcenter/submitcommercial.aspx. Gigablast www.gigablast.com Submit at www.gigablast.com/indexphp?subPage=addUrl&page=about&. JoeAnt www.joeant.com Submit at www.joeant.com/suggest.html. Open Directory www.dmoz.org Go to appropriate category page and click Suggest URL. Starting Point www.stpt.com Paid submittal at www.stpt.com/directory/addsite.htm. Wikia Search search.wikia.com Click the Add button on any relevant search results page. There are many other factors on which your blog's SEO depends they are - Blog Speed, Originality of the content, Keyword research, Backlinks, SEO optimized template etc. SEO is a very important factor for your blogs productivity so one should surely pay attention to it. Last but not the least I just want to say that never over-optimize your blog. What say about your template pls let me know. I'm using meta tags on my blogger blog it gives me better result and search engine ranking was improved a lot. Really This Is One Of The Best Blog Through Which I Ever Came. Awesome Posts. Keep Up The Good Work. good website with amazing blogger widgets... Really great site..